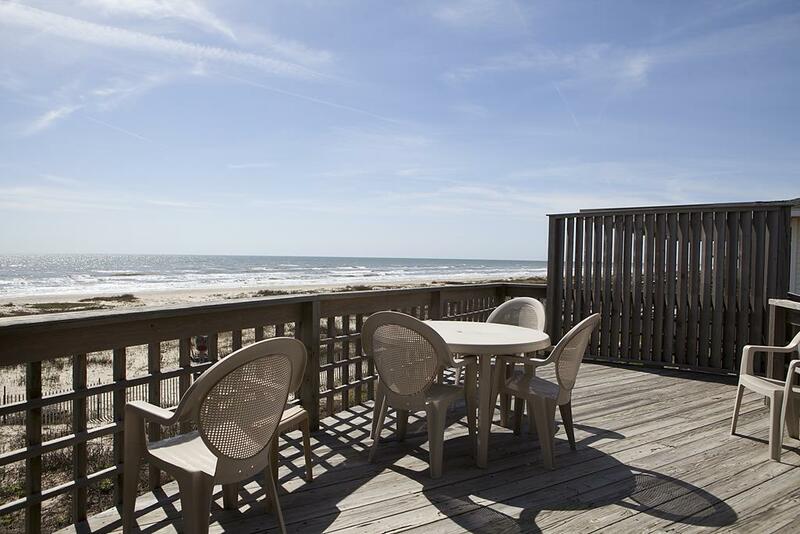 Beachfront, budget-conscience & pet friendly! 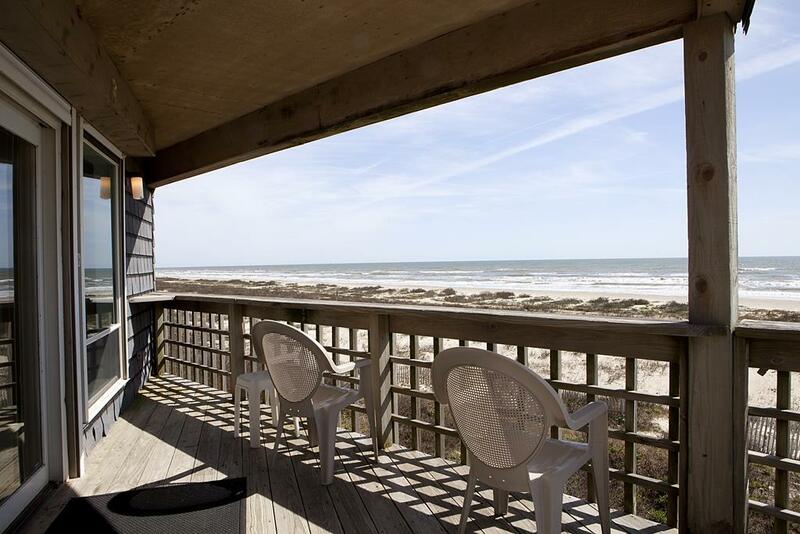 Wake up to the sounds of waves rolling in and the shorebirds calling at this classic beach house. The open plan is full of comfortable furniture that’s perfect for families. The king-size master suite, queen bedroom and queen loft are great for couples while the bunk bedroom is ideal for kids or teens. Spend time together with a movie night in the living area or move to the large, partially covered deck that’s ideal for sunning or dining al fresco. Best of all? You’re only steps from the sand & surf! NOTES: This property does not have a manicured yard; there is natural vegetation growing between the home and the beach. 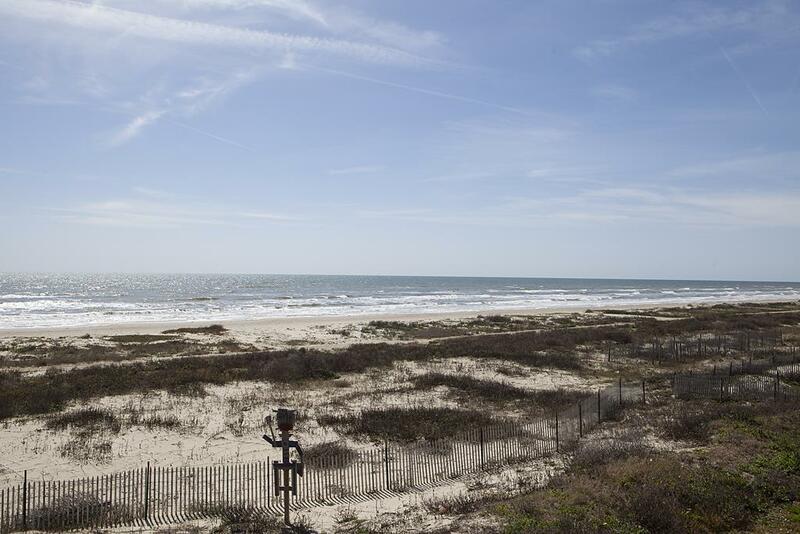 Sand `N Sea Properties offers vacation rentals on Galveston Island - beachfront, canal and bay front homes - as well as real estate sales in Galveston's Historic Districts, on the beach and everywhere in-between. My family and myself feel in love with this home. Waverly is a great house for a large family! The bunk bed room is close to the queen bed room for parents to keep the kids close by. The upstairs room has very steep ladder type stairs to climb to reach the bedroom so would be good for older kids or a young couple. The kitchen was very well stocked and set up nice for family meals. The deck has a small covered area for shade up top but downstairs has plenty of shade. The ramp instead of stairs to the house is nice for seniors with mobility issues and carting stuff up on a wagon or cart. We also rented Starfish next door for our extended family which worked out well . We loved Waverly and plan to rent again next year. Really enjoyed our time at Waverly. Good size house and room to spread out. Very cozy property. I would definitely stay here again. This was a great beach house for a small group. It is laid out well,is comfortable, and has most everything you might need in the kitchen, etc. It is just a great place to stay and relax! Wonderful location, love the ramp versus stairs, great layout and shaded porch after 10am to sit outside and enjoy the view. Wow! Great location and wonderful amenities! The very short walk to the surf was so convenient. With 5 adults and 3 children, there was ample room. Loved having the living area and all of the bedrooms on the same level. Kitchen was well equipped and the pantry was a plus. Very comfortable sitting and the long dining table was perfect for our group. Will definitely be making a return visit to Waverly! This property was amazing. 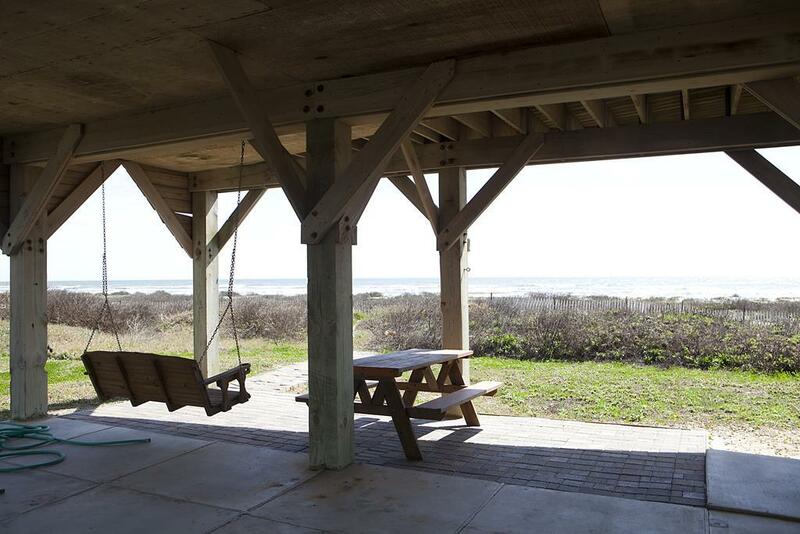 The view, the beach access, the house itself... all amazing. We will definitely be returning. Waverly has been a S & S rental for a long time. 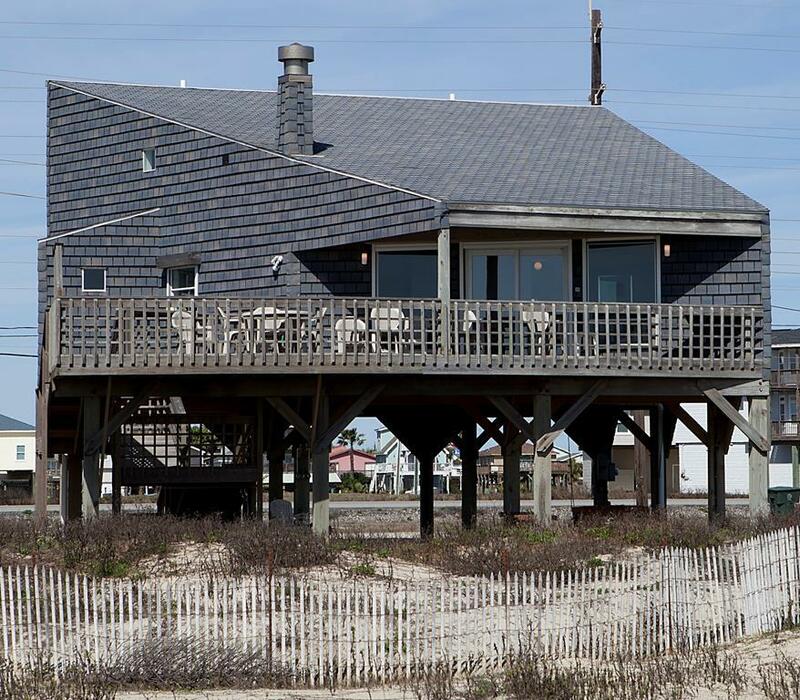 It's beachfront, has a great deck that's partially covered, it sleeps 8 comfortably, it has expansive views from inside the house, and it's on a quiet part of the beach. The house is in need of some updating, repairs, and painting. We encountered problems during our stay, that weren't able to be fixed until we departed, no TV or internet. It's an adequate house that's in need of some TLC. We are glad you enjoyed another stay at Waverly! Unfortunately, due to the rural nature of the West End, we cannot guarantee cable, phone or internet connectivity. We are always happy to have guests use the computer in the guest services center in our lobby! The outside isn't as attractive as some houses, but inside is very nice and we would definitely stay at Waverly again. Great location, great amenities, excellent access to front door via ramp! Owner needs to spend some money upgrading the interior but it wasn't a deal breaker for us. We enjoyed our 8 days at Waverly very much! Great home. clean and spacious. Kitchen was well organized and met our needs. This was our first stay at Seal Isle and Waverly was the perfect place for our multi generational family to stay. Having a ramp made unpacking, grocery bags, and beach items so much easier for several of us who had hip and balance issues. Loved the downstairs swing, shower and private beach. The kitchen was well stocked and and the modern design helped make it roomier. We will definitely be back. Lots of comfortable sleep and family space. We picked it because of the large dining table! We are a game family and played dominoes a lot!! We have rented several homes over the years both with Sand n Sea, as well as with other rental agencies. We were there for the week of Memorial Day. The Waverly was, by far, the best one. The set up of this house was perfect for the size of our family. The loft was a nice feature too. Everything was clean and in order when we arrived. We wanted to rent it again for the Labor Day weekend, however, it was already booked. Would definitely book this house again. A little dated - good for younger adults w/ no children. It was a little tight, but overall location was great! Waverly is a lovely beach house which is large enough to accommodate two families, especially if multiple kids can sleep together in the bunk room. The bunk room is really well laid out. The living space is very efficient and comfortable, and the kitchen well-stocked. The decor is simple and tasteful. It was a pleasure to be in a beach house that is not decked out with a thousand small decorative items that need to be put away so small children don't break them. My only regret with this house is that the access to the loft bedroom is basically a ladder with a very awkward exit to the second floor. It made the room unusable for us. Since we had small children in the group, we had to gate off the bottom of the stairs to keep them safe. Fortunately there was a baby gate available in one of the closets. We did love that Waverly has a ramp up to the house, rather than stairs. It made unloading all our stuff a breeze! Very comfortable house. We stayed for a week and thoroughly enjoyed it.Would stay again. Easy access to the house via the ramp, right on the beach and very comfortable with lots of room. Waverly was a great place to stay. Great location on the beach. We were looking for something quiet and on a private beach and that's what we got staying at the Waverly. Very comfortable. Enjoyed the covered deck and looking out at the Gulf!